Whether you’ve just arrived in London Heathrow after a long-haul flight or you’re heading out for a business meeting, you should expect your first-class service to continue back on the ground. Starr Luxury Cars offers a premium London Heathrow airport transfer service, allowing you to select from a range of stunning prestige hire cars for you to relax in upon arrival. We cater for a wide range of clients, providing ongoing luxury chauffeur services for businesses or one-off prestige chauffeuring if you’re travelling for pleasure. Whatever your requirements, we’d be glad to accommodate, treat you to one of the most comfortable, relaxing journeys you’ll ever experience and taking the stress out on onward journeys. We have a team of carefully selected, professional chauffeurs, ready to get you to and from Heathrow Airport in style and transporting you to anywhere in the London area. With years of experience in driving prestige hire cars and chauffeuring a wide variety of clients, you can rest assured that your luxury airport chauffeur experience will be proficient and pleasurable. Our chauffeurs will make your journey as comfortable as possible for you, loading and unloading your luggage whilst you relax in the back in the premium chauffeur-driven hire car of your choice. Your chauffeur will be waiting for you at Heathrow Airport, ready for you to make the next leg of your journey as quickly as possible. We understand that sometimes you may experience delays or a change of times, so your chauffeur will monitor your flight updates, ensuring they are ready to meet you whenever you arrive. 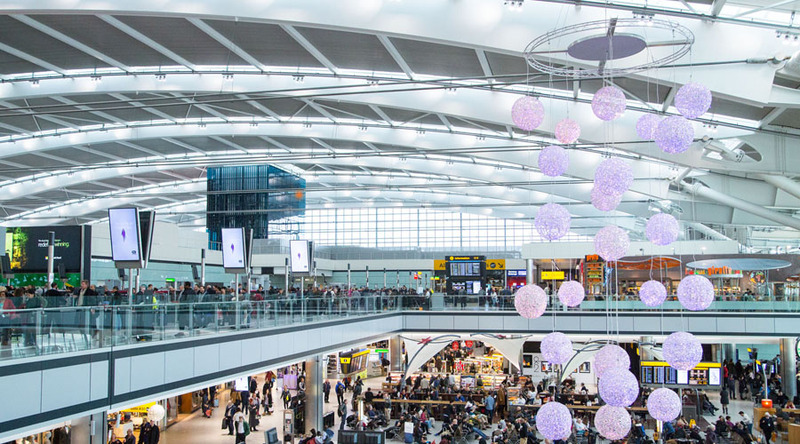 As the busiest commercial airport in the UK, you can avoid the hustle and bustle of Heathrow Airport upon arrival, safe in the knowledge that your luxury transport has been booked and managed by our expert team. For additional comfort and ease, you have the option to hire our airport assistance and hostess service. One of our professional hostesses can stay with you at the airport until you are ready to board your flight, helping you with anything you may need and ensuring your time is spent feeling calm and relaxed. With an extensive range of chauffeur-driven hire cars to choose from, you can select the perfect model to suit your needs and tastes. As well as beautifully luxurious models including Rolls-Royce and Maybach hire cars, we have spacious vehicles to accommodate for larger groups and vast amounts of luggage. If you can’t see the chauffeur-driven hire car you would like to book, speak to our friendly team and we’d be happy to organise this for you. We are as passionate about the service we offer as we are about our prestige cars. Each booking can be tailored to suit you with premium extras such as champagne and luxury alcohol packages, flowers or children’s car seats. Book online for an up-front quote or speak to our team should you have any other individual needs and we will aim to make your Heathrow luxury airport transfer as smooth as possible.